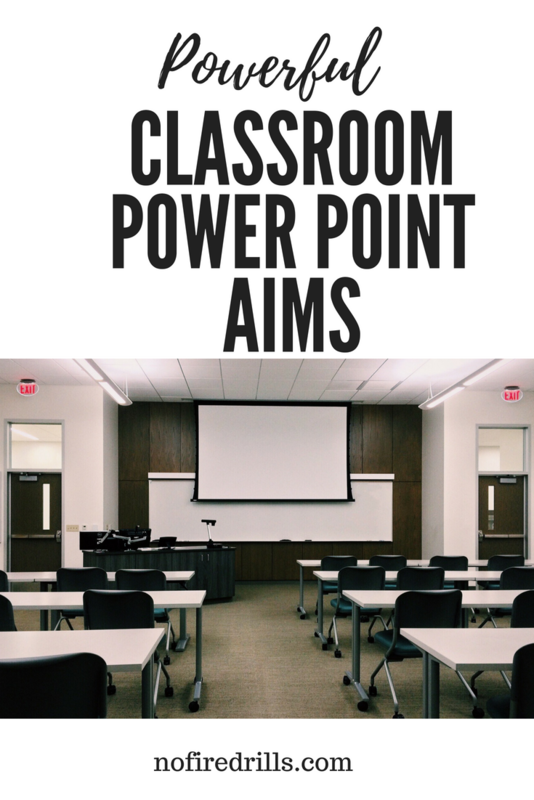 Powerful PowerPoint AIMS - Be your best teacher! AIM. The GOAL. The “here’s what we are about to do today folks, so get ready!” moment. When I first started teaching the recommendation from the “higher ups” was “ELICIT THE AIM”. Elicit the AIM? Spend 5 minutes and WASTE my class time having my students GUESS what we are going to be talking about. No thanks, talk about being “ineffective”!! Instead I give them something to think about as they are entering my classroom. Unpacking their bags. Waking up from their long journey in. My AIMS have to be interesting or my students will not be invigorated to “discuss amongst themselves!” Here’s how I find success every morning. Please note: you can do emulate these ideas on a whiteboard, chalkboard, a smart-board anytime of board you please as long as you are not BORED! Try to add an icon or graphic or GIF to your presentation. Think of a question that relates to the lesson but is not easily answerable by a YES or NO. Try to draw synthesis to other lessons you have taught over the past week, month or year. Here are some of my favorites from my US History course. What AIMS have you tried? Previous Post Write the Perfect College Recommendation! Next Post Send in the Interactive Word Cloud! This is a really fun way to motivate students, great post!